The Raleigh Redux 2 is included in Bicycling's 2016 Buyer's Guide. Described as an "energetic commuter" that encourages "deliciously bad behavior," the tester put the Redux 2 to the test, attempting things she never would on her skinny-tired commuter. She bombs around city streets, coarse gravel, dirty shoulders of rural roads, and unkempt golf courses like the aluminum townie is a rigid mountain bike. The Redux series evolved from the Tokul, Raleigh's 27.5-inch-wheeled hardtail mountain bike. 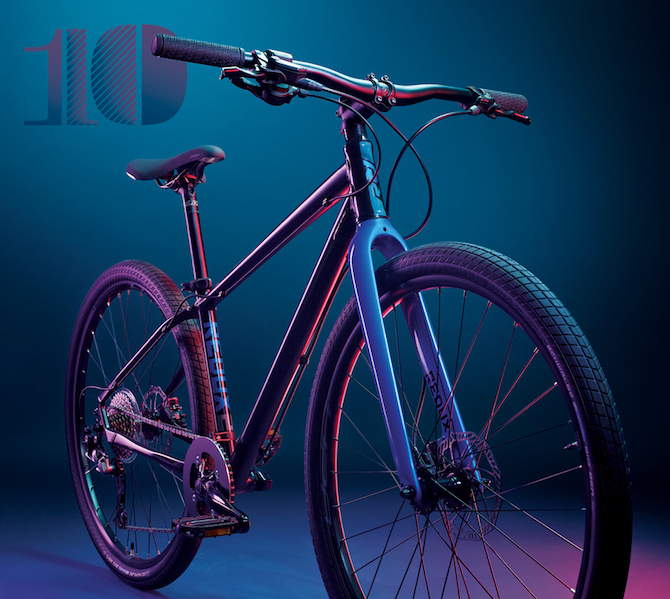 Balancing "MTB cool and urban utility" the Redux 2 features disc brakes, Schwalbe Big Ben tires, and a lightweight, color-popping fork. Editor's Quote: "...it represents a good value for a fun, light, and reliable ride that let you get into trouble -- but always gets you out of it." To learn more about the Redux 2, click here.